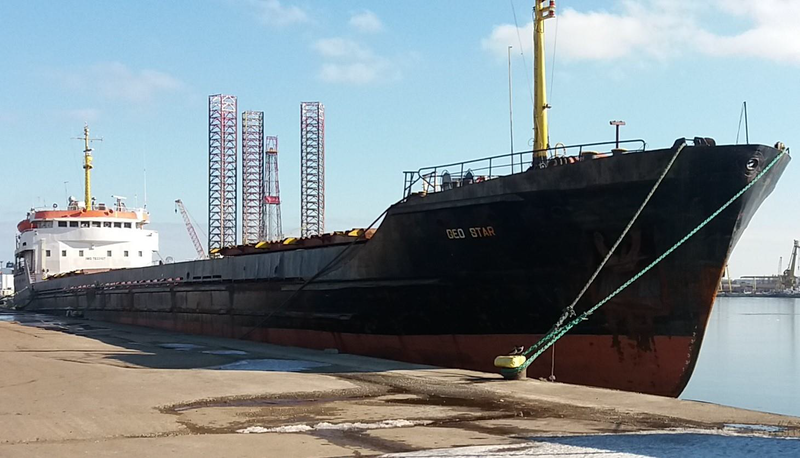 M/V “GEO STAR” – IMO No. 7833107, flying TOGO flag, under Columbus American Register Class Society / Recognized Organization, called Constanta Port, Romania on 29 January 2017 for loading 3000 to. corn in bulk. The ship’s risk profile is HRS, Priority II, unexpected factor. Morning time on 30 January 2017 two PSC officers were nominated for inspection. Prior boarding, the PSC team proceed to an appropriate check of overall condition of the hull, Load Line mark and draft scales. They noticed that the access on board was unsafe due to several cracks of the gangway. The PSC officers introduced themselves to the Master informing him about the inspection type (more detailed) and begun to check the ship and crew certificates and documents. At that moment the ship was loaded with abt. 800 tones. They ascertained the abnormal low temperature inside accommodation. They noticed the accurateness of statutory and safety certificates in visible contradiction with the ship's state. The PSC officers started carrying out the proper inspection of the entire ship and found lots of serious deficiencies leading to the ship’s detention.